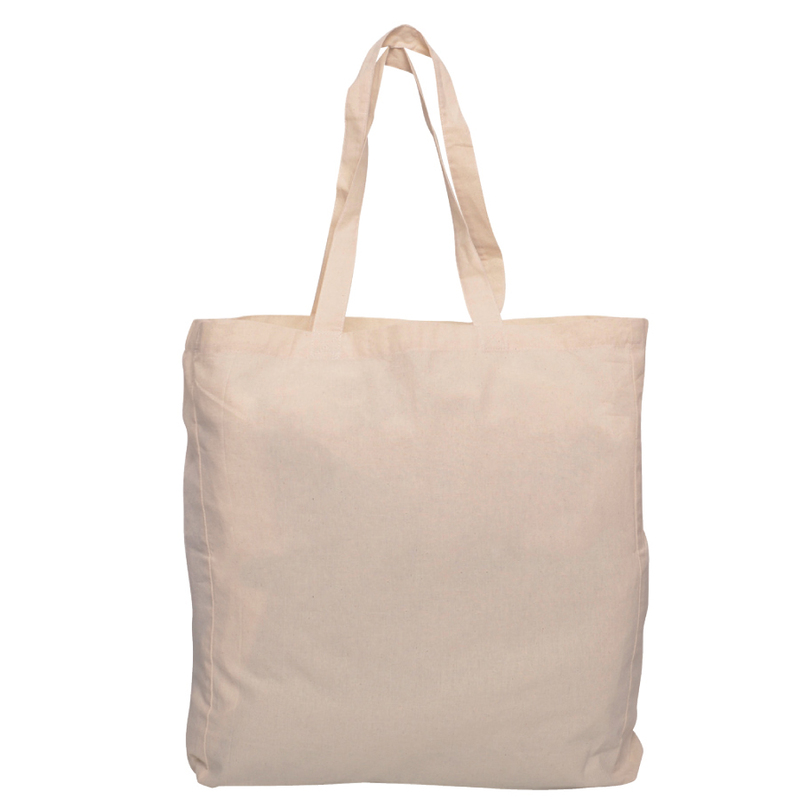 A logo printed Calico shopping bag that also has a gusset for improved strength. Putting your logo in the spotlight. 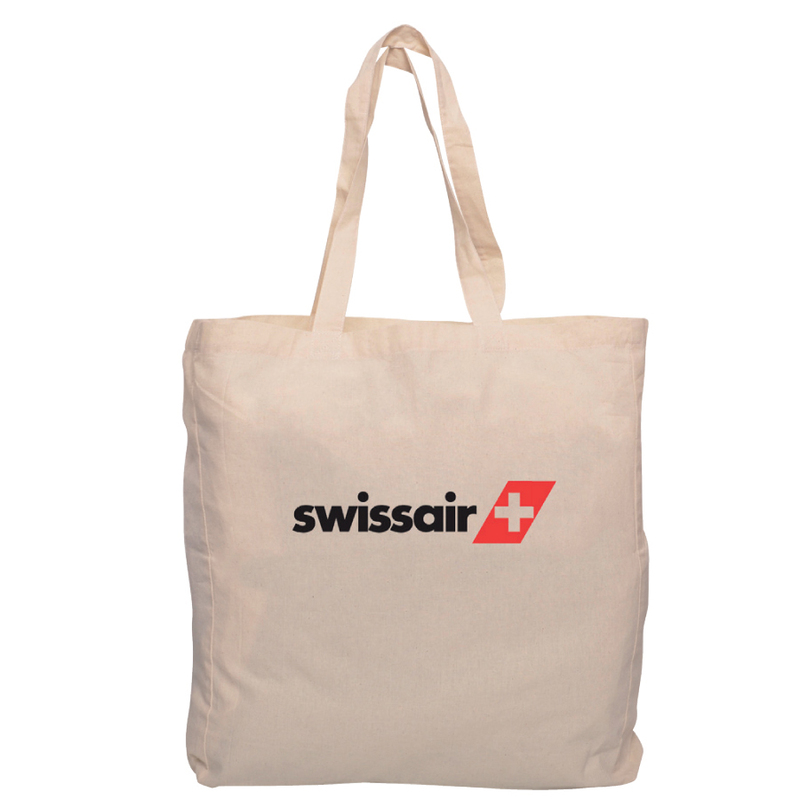 These calico shopping bags are made from 140gsm material and confidently host a large imprint area for maximum marketing impressions. They come as standard in an off white colour and have two long carry handles as well as a gusset for added support.